A Peaceful Place To Be: I put up the Christmas Tree! I put up the Christmas Tree! 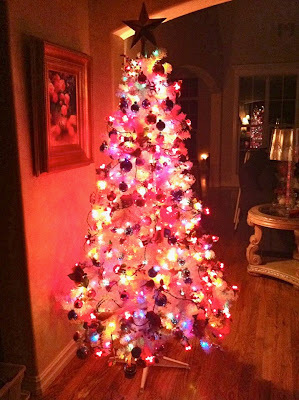 We bought a new white Christmas tree this year and I decided instead of going with my usual silver and white or red and green themes I would do a colorful tree. I found a bunch of ornaments that I haven't put out for years. 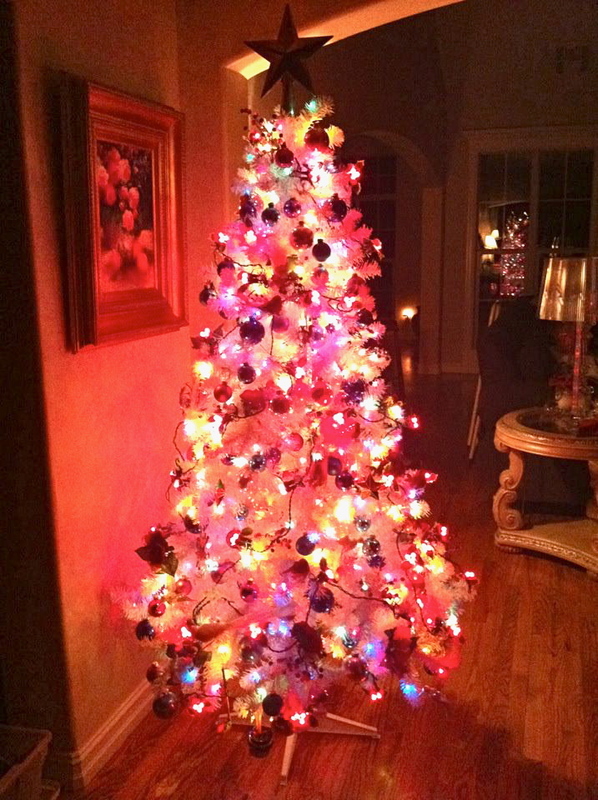 Oh I'm just dying for a white tree! Lovely! Have you found it yet? Hm, sounds like a craft project coming on! Your tree is delightful. so pretty! maybe you could use an old quilt for a tree skirt. I have my tree in a giant old crock, so no tree skirt necessary. though I sort of miss having one. which makes me wonder where mine are, because Im not sure I saw them when I was going through all my decorations this year! umm... your pumpkin pie looks delicious! No tree skirts? Sounds like a project in your future!